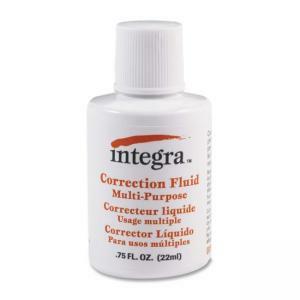 Brush applicator corrects errors on surfaces including typing, photocopies, pen ink, and faxes. Smooth application of correction fluid prevents spills and blotting. Does not require thinning. Environmentally safe and ozone friendly. Correction fluid contains mixing bead.